Why Host Your Event In… Dubai? Home>All News>Why Host Your Event In… Dubai? Dubai has a reputation for being a visionary city; a first-mover that shapes its own destiny. The spirit of everything is possible and wise foresight of its leaders have been hallmarks of Dubai’s economic progress over the past decades, and what once was a tranquil town has rapidly grown into a premier leisure and business destination. Dubai has become a record-breaking and innovative city on the crossroads for opportunity.
" Dubai has emerged as one of the world’s leading international business centres and regional hubs. This cosmopolitan city of diversity is at the crossroad of the globe and has transformed itself into a buzzing international metropolis.	" Complementing the ease of doing business and the strategic advantages of being in the emirate, Dubai’s status as a growing knowledge hub also enhances its attractiveness as a hyperconnected pro-business hub situated at the crossroads between the East and the West. Central to this is the wide range of universities, research facilities and educational institutions whose expertise businesses and individuals can leverage. Reflecting the city’s diversity, these include branches of international, well-established and respected institutions, as well as new players which have emerged and developed within the fertile environment that Dubai provides. Thanks to Dubai’s ideal location, excellent connectivity and extensive business services, Dubai has become a centre of trade and commerce for the entire region. The government is pro-business, with the most transparent business regulations in the region. Dubai provides tax-free zones, first-class physical infrastructure and access to an experienced and skilled labour force. Additionally, business events hosted in Dubai are also exempt from the 5% value added tax, offering a competitive advantage over other cities. Dubai’s central location makes it one of the busiest travel hubs in the world. Dubai International Airport has ranked as the number one hub for international passengers for four consecutive years and recorded an annual traffic of 88.2 million passengers in 2017. DXB serves 90 airlines, connecting the city to more than 240 destinations around the world. Dubai boasts a world-class infrastructure, well-maintained roads, excellent public transport and connectivity. Buses operate at 30-minute intervals across the city. Taxi services are government regulated. The minimum fare for taxis in Dubai is AED12 ($3). The Dubai Metro Red and Green lines cover the city extensively, with a train running every 7 minutes or less. 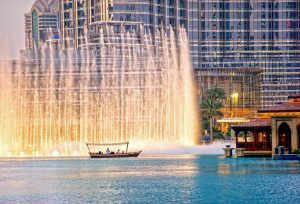 Dubai has a diverse range of premium, standard and budget hotels offering services that cater to all needs and budgets. There are close to 700 hotels in the emirate, together offering more than 107,000 rooms. Current estimates show that a total of 132,000 rooms are expected by the end of 2019. Dubai has a plethora of flexible business event facilities, from a meeting room for 10 people to a convention centre for thousands. Dubai International Convention and Exhibition Centre (DICEC) boasts over 120,000sqm of exhibition and meeting space connected to the airport by only a 10-minute drive or Metro ride. In addition, an array of hotels in Dubai offer high quality and sizeable meeting space. 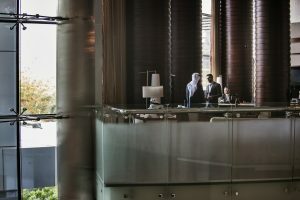 While Dubai World Trade Centre is home to many cafes and restaurants ideal for a post-seminar refreshment, conference-goers keen to see more of the city won’t have to stray too far. Here are five hotspots to enjoy. From Arabic to Asian, French to Mexican and everything in between, Dubai offers a tantalising array of mouth-watering options to treat food lovers’ taste buds. And the city is known for its vibrant entertainment scene, where you can relax at blissful beach clubs or watch the world’s most exciting horse race. Dubai has emerged as one of the world’s leading international business centres and regional hubs. This cosmopolitan city of diversity is at the crossroad of the globe and has transformed itself into a buzzing international metropolis. Kenes and Gulf Circle Tours (operating as Al Turath Events) signed a partnership agreement in 2017 for local representation in the Middle East. We see Dubai as an important asset to our presence in the EMEA region where we have brought events in the past, such as the 7th International Conference on Alzheimer’s Disease and Related Disorders in the Middle East (ICADME), and in 2019, we are bringing the annual meeting of the World Congress of Neurology (WCN). More events are being planned to take place in the emirate. 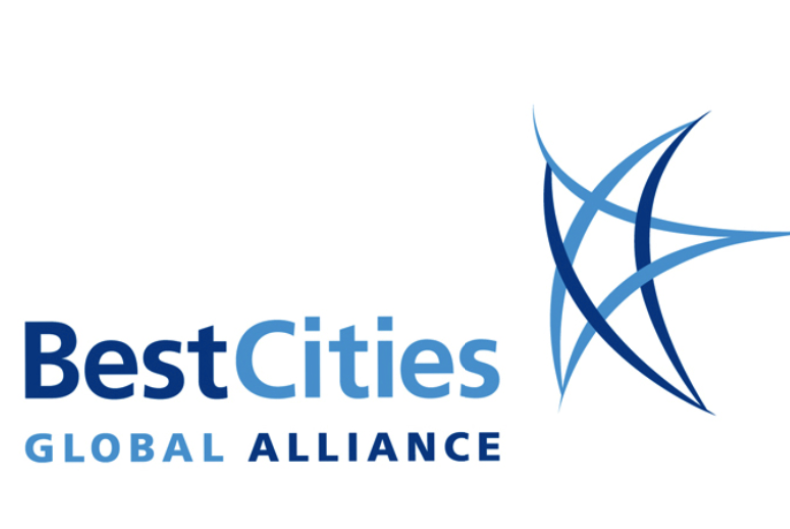 Furthermore, Dubai is a member of BestCities Global Alliance, whose Quality Management Programme ensures that partners have documented policies and procedures in place that support the BestCities Service Charter. This includes top-notch service, destination expertise, on-site event services, employee recruitment and selection, employee evaluation and training, subcontracting and record-keeping. Looking to the future, the UAE National Innovation Strategy is the engine for the growth of distinctive skills and capabilities across the nation, focussing on fostering innovation in seven main sectors: Renewable energy, Transport, Education, Health, Technology, Water and Space. For more information on Dubai, see the Business Travel Guide from Dubai Business Events. Refer your delegates to why they should visit your congress taking place in Dubai here.